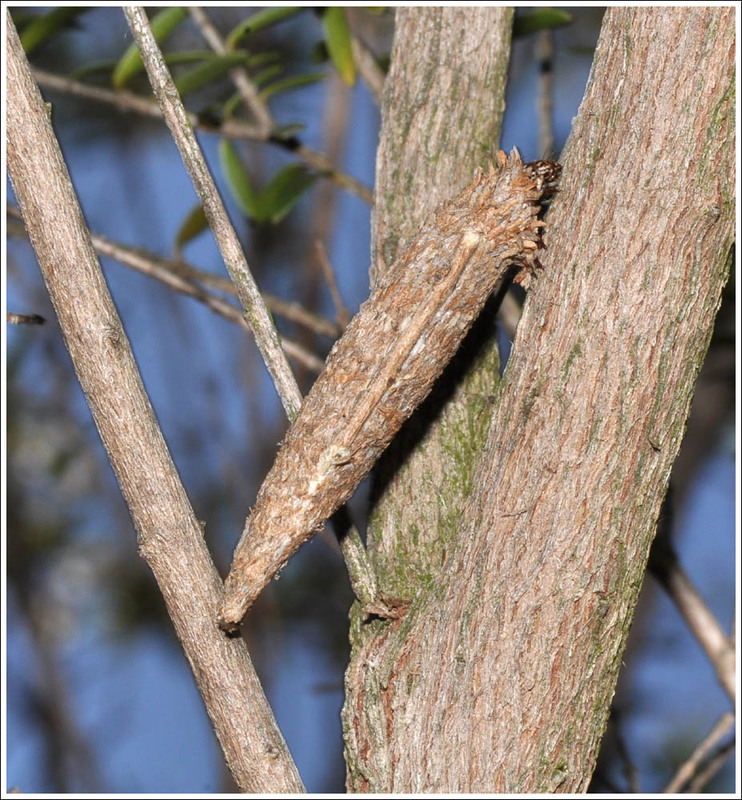 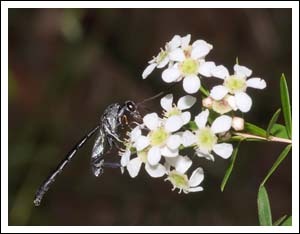 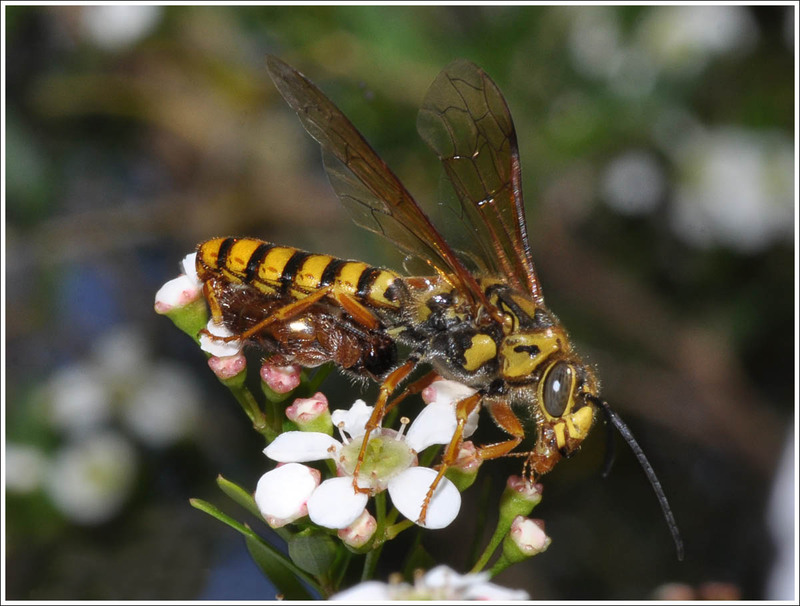 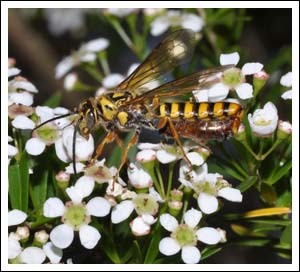 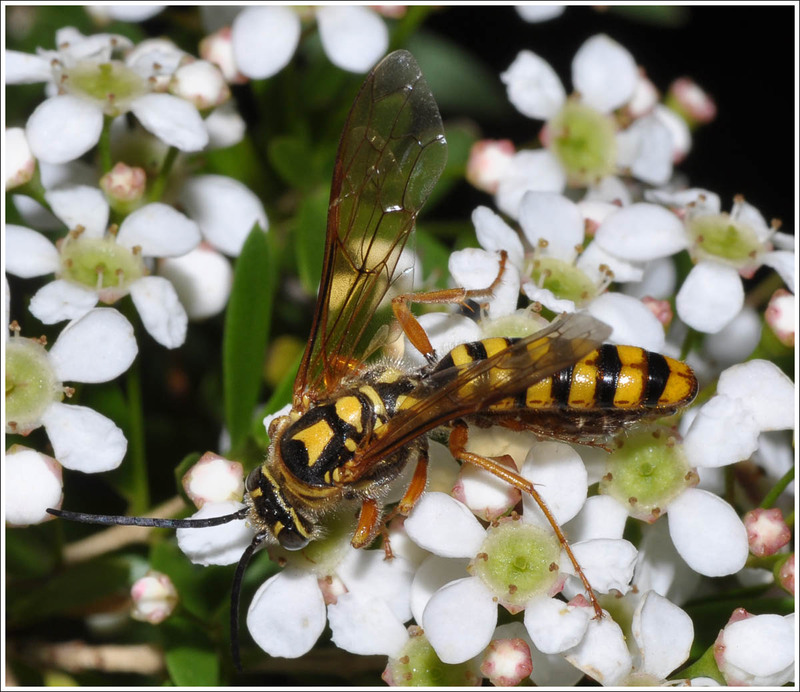 When the Baeckea virgata (Sannantha pluriflora) flowers at Christmas time it is a magnet for insects seeking nectar. 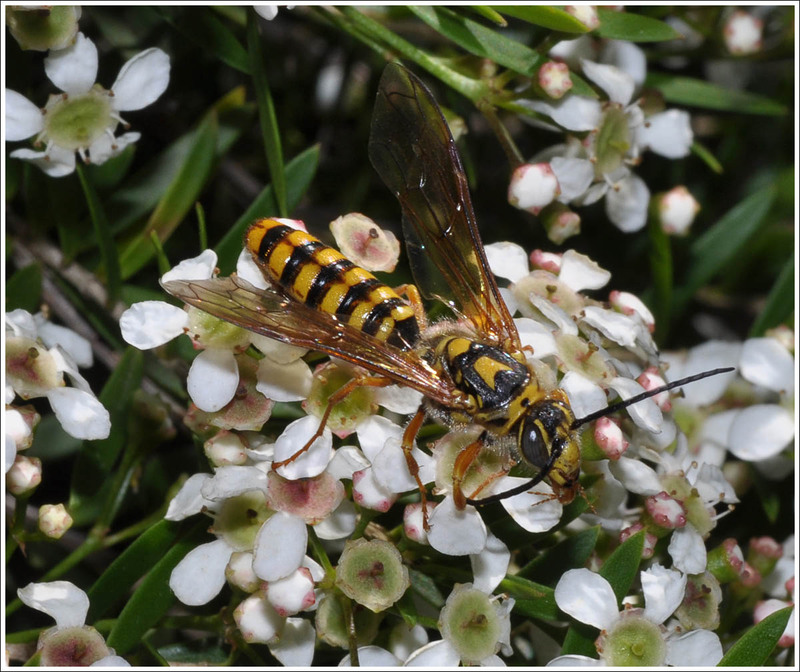 Before the big frost the flowers of our Leptospermum petersonii used to attract the yellow flower wasps, it is now sadly gone, but the baeckea has filled the breach. Females are wingless, but when coupled the males take them around the flowers to feed. 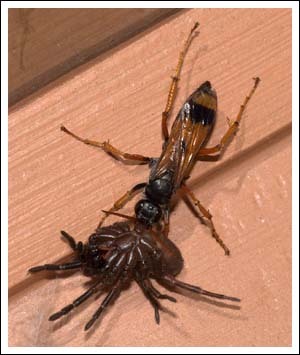 When ready to lay the females drop to the ground, where they burrow in to attach their eggs to soil dwelling insects. Here are images of male wasps, some showing the female tucked under the male’s abdomen. 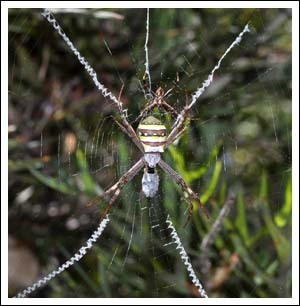 Click all images to enlarge. 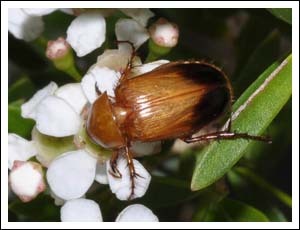 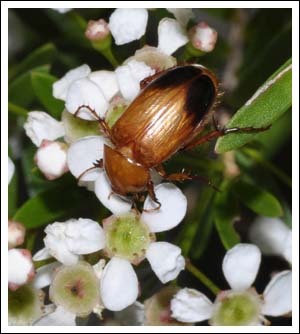 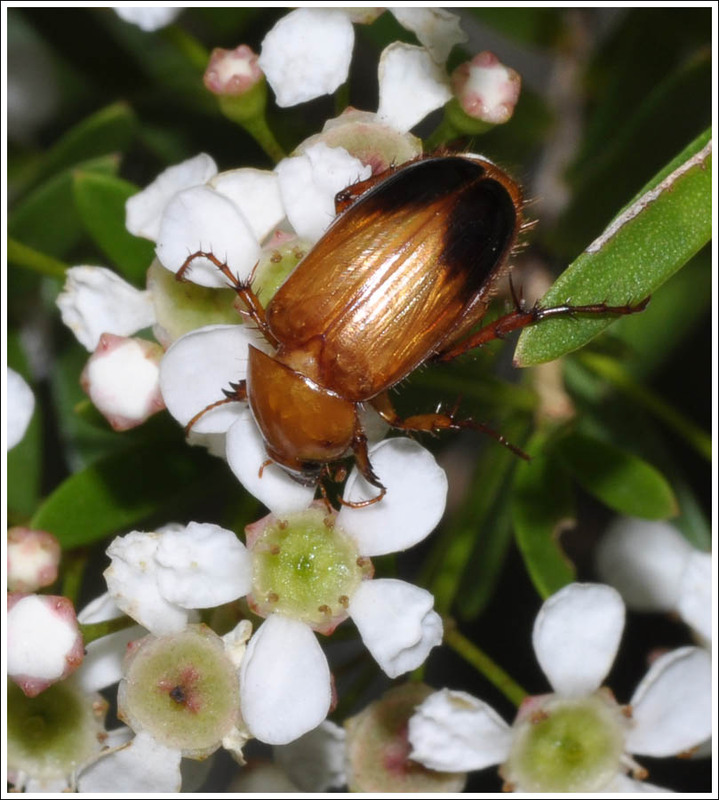 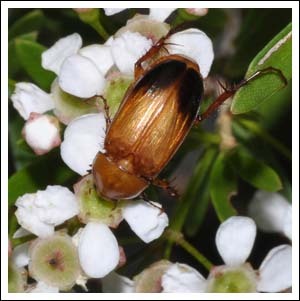 Small long-legged scarab beetles also feed greedily on the nectar. 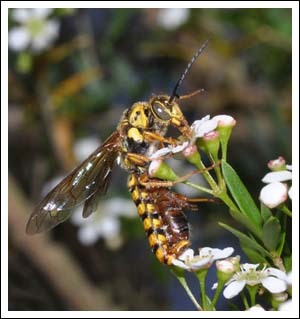 Gasteruptiid wasps parasitise solitary bee nests. A pair was feeding on the baeckea flowers, the female with the long ovipositor eluded the camera but the male paused and was snapped. 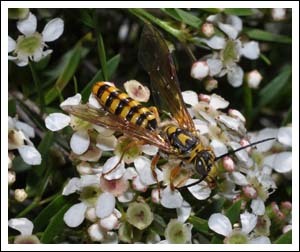 The foliage too provides sustenance for those who prefer it, eg. case moth larvae. 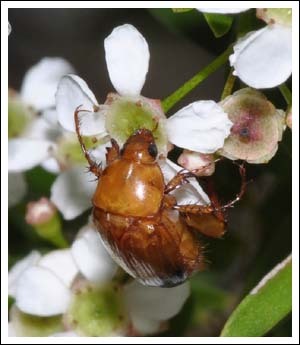 Many species of fly and other insects visit the flowers, subjects for another time. 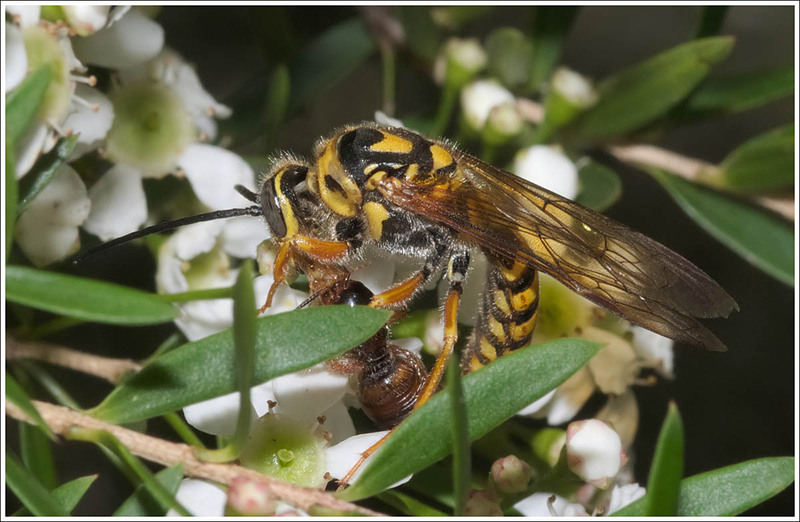 Posted on December 27, 2017 by TricarpaPosted in General Nature. 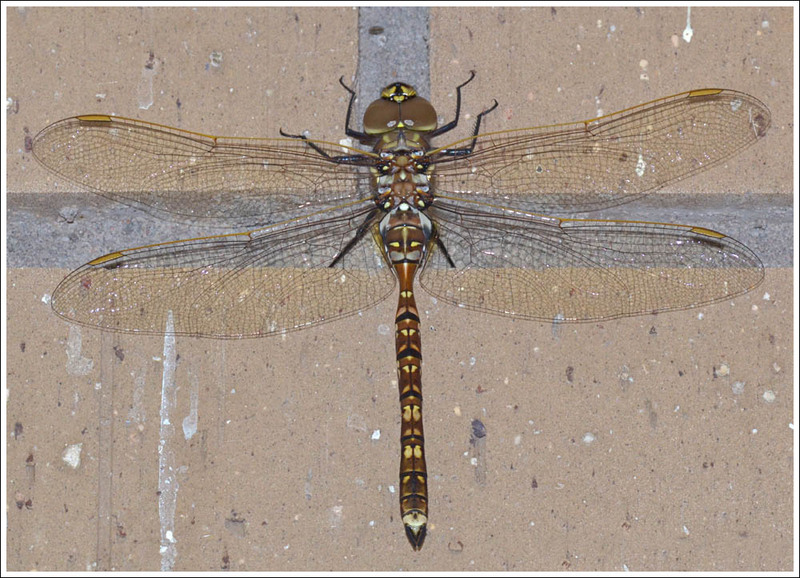 Some shots from here and there, starting with a few more from home, this Aeshna brevistyla found the brick wall inside the verandah a good spot to perch for the night. 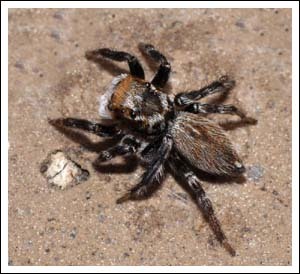 One of the many jumping spiders that roam the walls, the attractive Hypoblemum villosum. 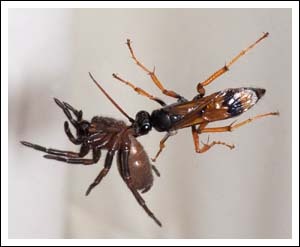 This spider wasp spent quite some time towing this paralysed spider around before finally disappearing with its offspring’s future food supply. 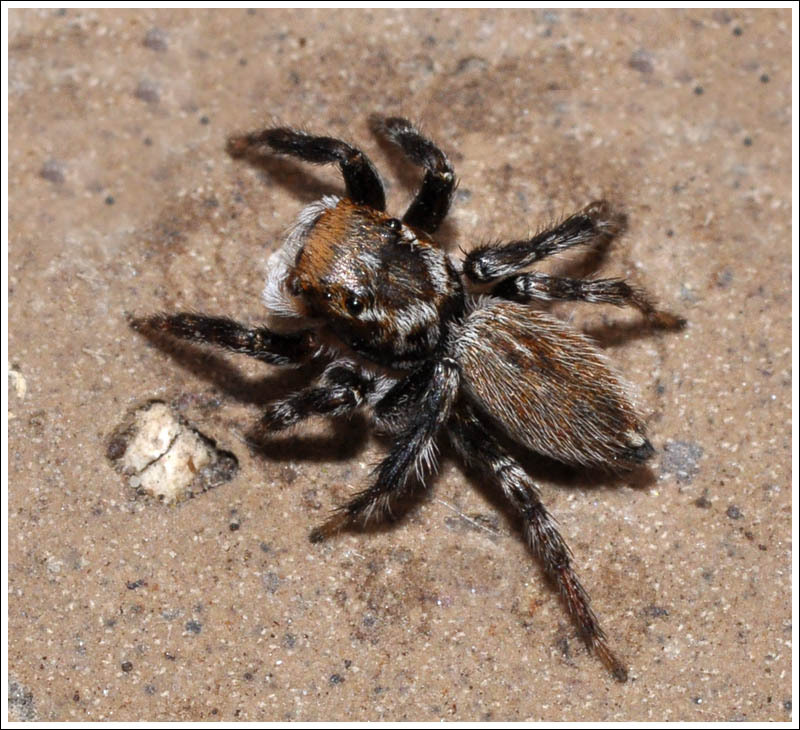 Going along the window glass. 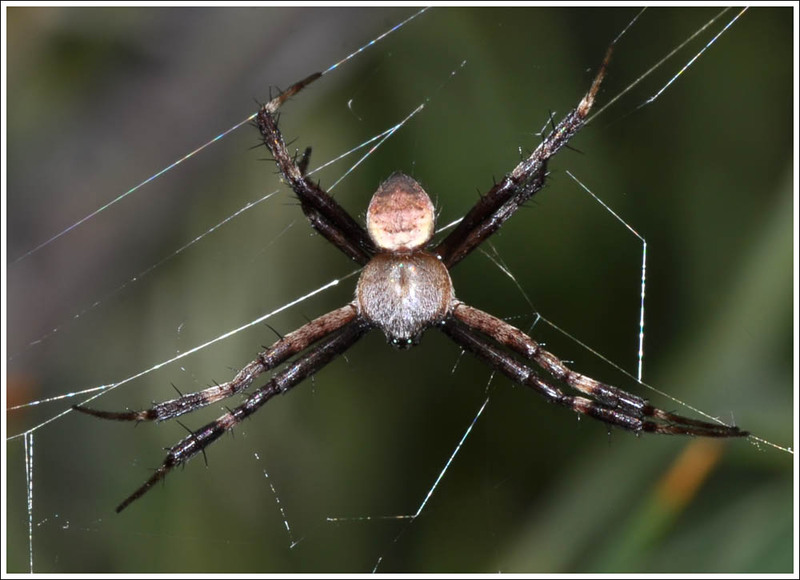 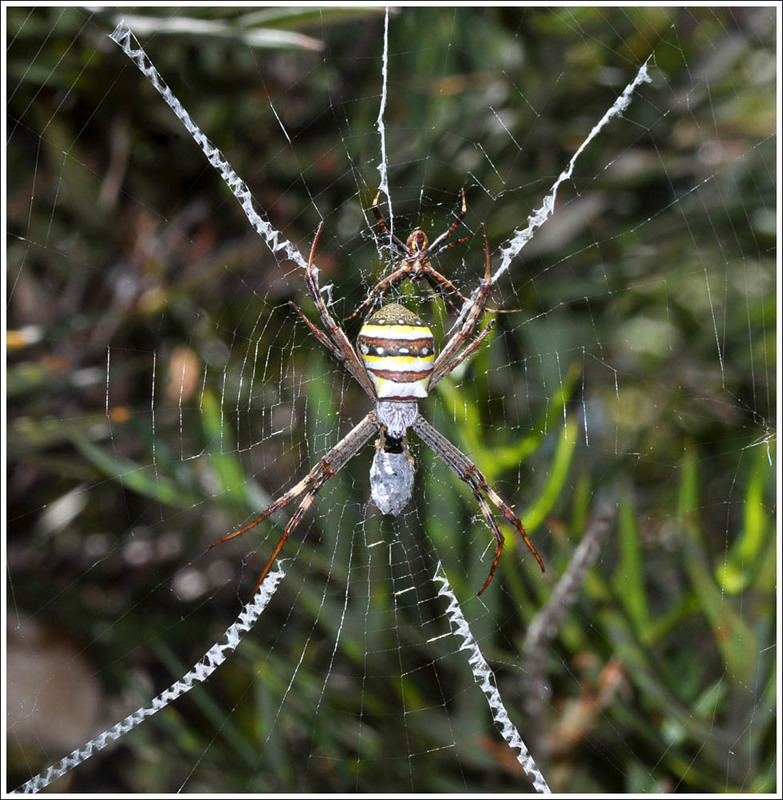 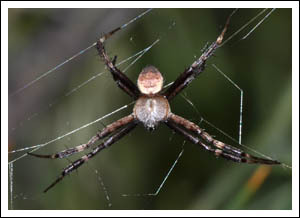 And out in the garden one of the female St. Andrew’s Cross spiders has found a husband. 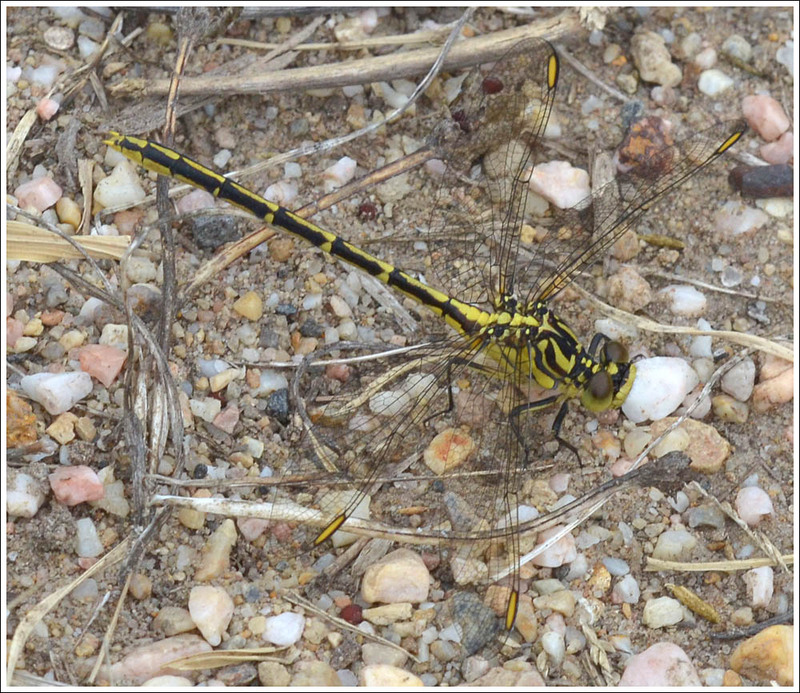 And here’s the male in close up. 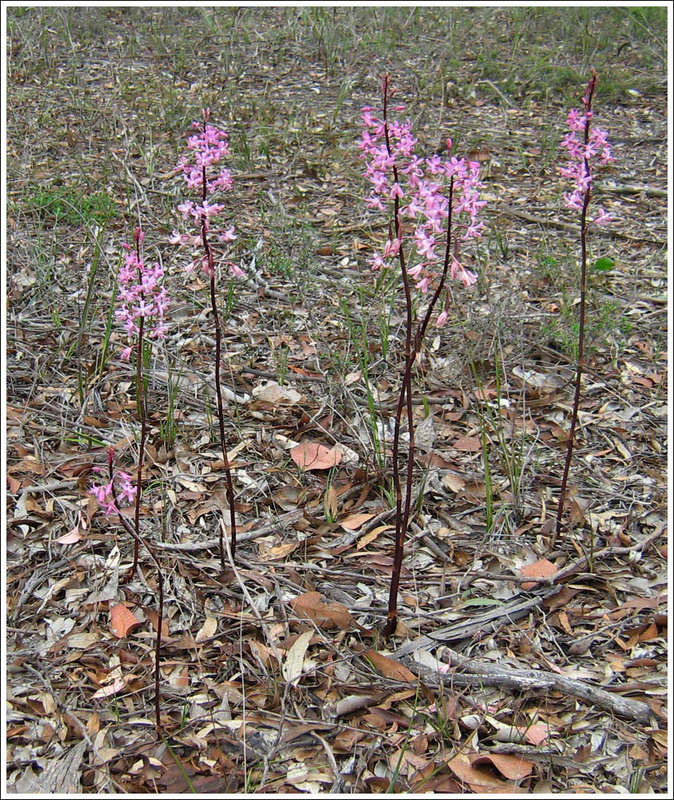 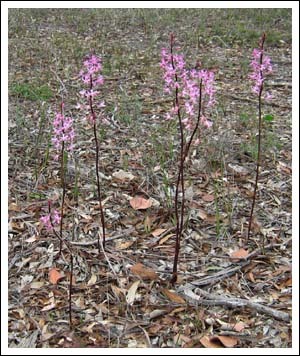 A recent visit to Lake Glenmaggie was notable due to hundreds of Hyacinth Orchids in flower around the shore. Just a general shot with the little snapshot camera as the DSLR was carring the 200 micro for possible Odonata. 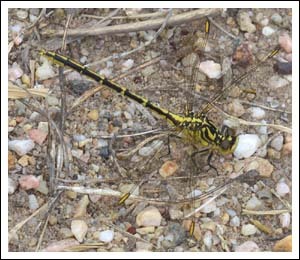 And strangely, despite much searching only one was found, a Yellow-striped Hunter, Austrogomphus guerini. 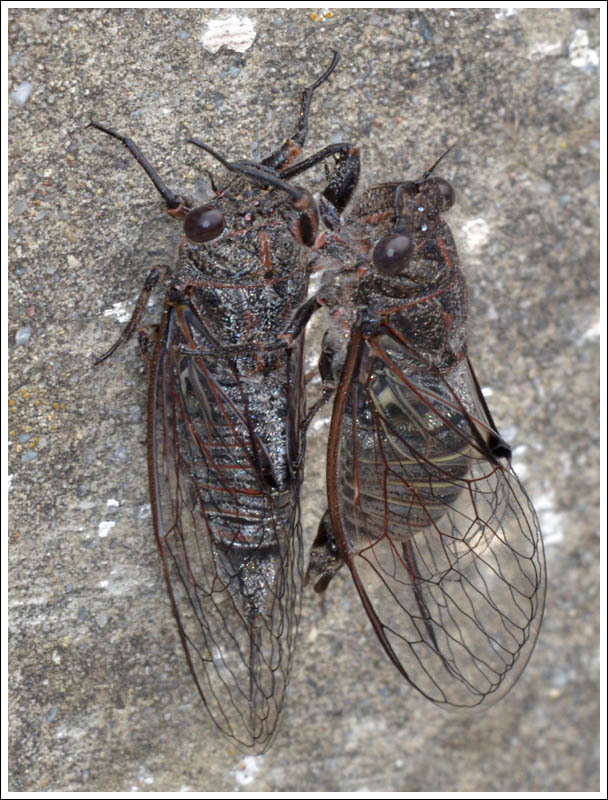 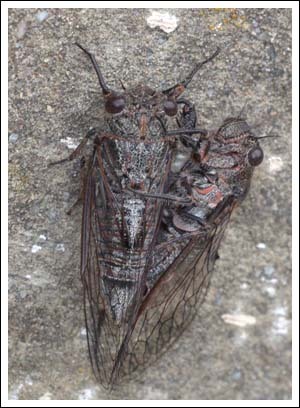 It is of course cicada time, and while climbing the concrete steps at the weir wall, a casual glance could have mistaken this tiny pair for large blowflies. 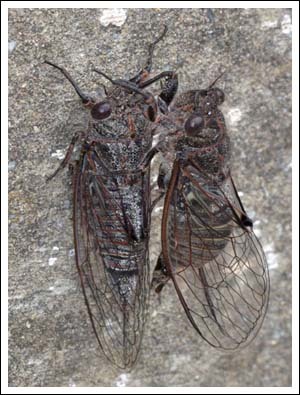 To the best of my knowledge they are male and female of the Pauropsalta encaustica complex, commonly known as Black Squeakers. 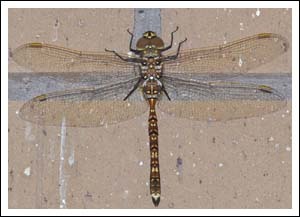 Wing length is approximately 15 mm, and the female is showing her red markings in the first image. 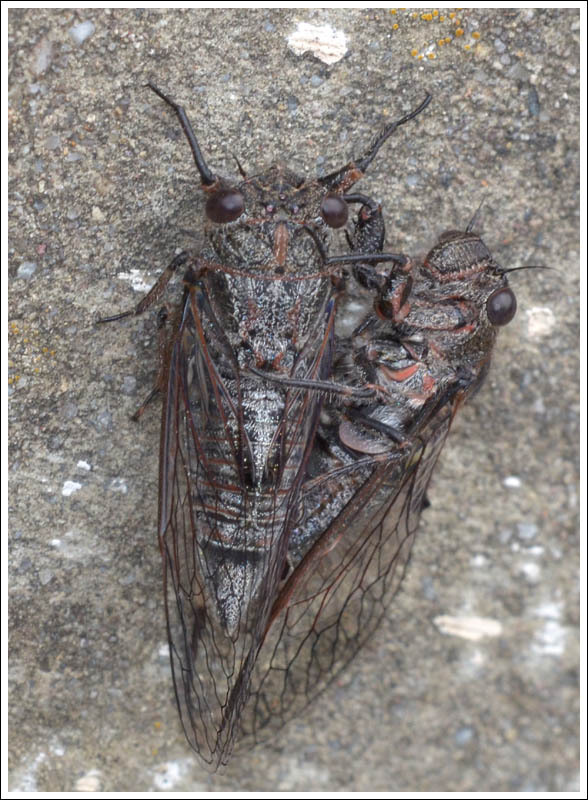 Posted on December 21, 2017 December 21, 2017 by TricarpaPosted in General Nature.